Another nice installation by Ana Soler (previously here) titled Red Way. 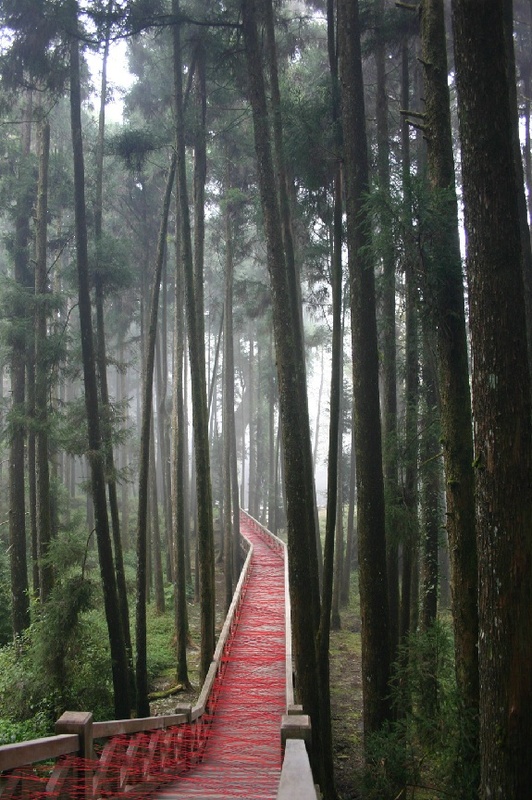 Red string on a teak pathway in Alishan Park, Taiwan. I love how dramatic it looks; the contrast of the tall pines and the red criss-crossing string. Lovely.